Find Canola Oil Recipes | CanolaInfo | Canola Oil. Good for Every Body! The classic Caprese Italian salad is in an easy-to-tote muffin form – think picnic! Juicy cherry tomatoes, creamy mozzarella and bright basil join flavorful forces with the mild taste of canola oil, producing a tender treat. Simplify your holiday baking and host a cookie exchange with your friends and family. 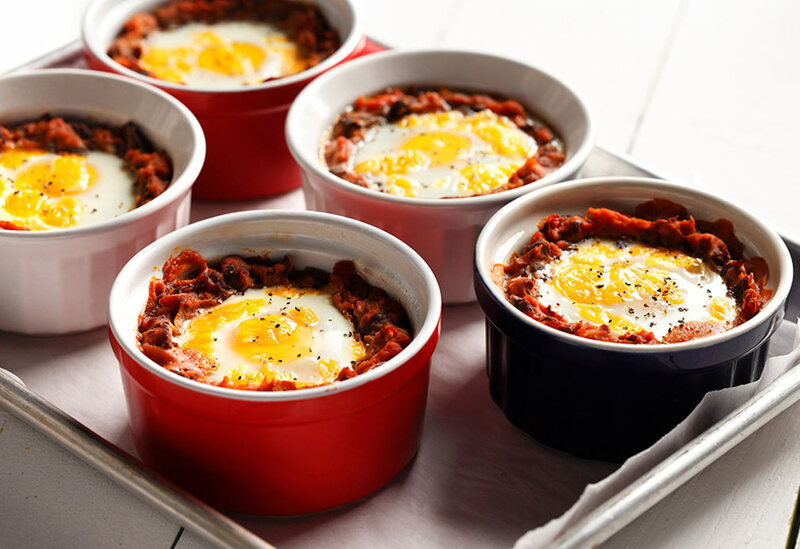 Make your holiday breakfast or brunch special with this delicious recipe ideas. CanolaInfo partner and registered dietitian Manuel Villacorta posted on his blog, Whole Body Reboot, to mark Hispanic Heritage Month, noting food is central to Latin cultures. Bustle states the facts – olive oil is not the oil of choice for certain cooking methods because of the low smoke point. “Keep all your holiday desserts waistline-friendly by baking with canola oil,” writes registered dietitian Julie Upton in an article on holiday favorites with health benefits for PopSugar.com. When it’s time to celebrate the eight-day miracle of Hanukkah, even the White House reaches for canola oil, according to The New York Times. Tasting Table advises readers on how to choose the right cooking oil for the job, explaining the advantages of smoke point and versatility. Seven-time Olympic medalist Shannon Miller shares CanolaInfo’s recipe for Cherry-Almond Protein Energy Balls from its new “Movable Feast” collection created by sports dietitian Mitzi Dulan. Newly minted Food Network host and cookbook author Valerie Bertinelli cooks up her recipe for Chicken Cutlets with Spicy Arugula in canola oil on NBC’s “Today” show. Men’s Fitness magazine lists nine pantry staples, including a high-heat cooking oil like canola for sautéing and frying. A CanolaInfo recipe for Barley Salad with Spinach and Strawberries is featured on CTV with Ellen Pruden of CanolaEatWell. The Nordic Diet continues to grow in popularity, reports Yahoo! Health. Banh mi is a Vietnamese short rib sandwich served on a French baguette. We are on the move more than ever, making labor-intensive meals rare, according to a Time.com article. A health educator at Vanderbilt University shares a list of steps with the Vanderbilt University Medical Center Reporter for maintaining a healthier heart just in time for February’s Heart Month. Are you looking for Valentine sweets made with love? Sarah-Jane Bedwell, a registered dietitian and blogger for Self.com, shared a recipe for chocolate cherry cake. Regardless of who you are rooting for this Sunday, everyone can agree that snacks are important to any Super Bowl party. For years, the Mediterranean diet has stood at the foreground. Registered dietitian Manuel Villacorta encourages trying a new recipe this holiday season on his “Eating Free” blog, such as churros with spiked chili cocoa sugar from CanolaInfo. Chef George Geary appeared on The CW’s “San Diego Living” this week to show off a collection of delicious peppermint recipes, including a peppermint mocha martini and a chocolate peppermint cake. Are you looking to step up your latkes game this year for Hanukkah? CanolaInfo’s holiday recipe campaign is now underway! Thanksgiving may have passed, but December is filled with tempting treats from Christmas parties to New Year’s celebrations. Mairlyn Smith, professional home economist and guest expert on Canada’s popular “CityLine” and “Breakfast TV” shows, shares with The Province how she accomplished a few goals on her bucket list. MyFitnessPal and Cooking Light have teamed together to produce a book of low-calorie recipes. Baking season means stockpiling the pantry with flour, sugar and vanilla extract. Do you really need to buy butter in bulk though? Katherine Brooking and Julie Upton, both registered dietitians, share with Newswatch viewers how to make holiday recipes healthier by using canola oil. Turkey is great, but your plate needs some color, too. There’s no need for any pumpkin to turn into a carriage at midnight, especially if it helps create delicious desserts like this Pumpkin Cake with Cream Cheese Drizzle. Chef Joyce Chen, a pioneer in Chinese cooking in the U.S., is one of five celebrity chefs to be honored by the U.S. Postal Service with her own postage stamp. Co-host of “The Chew” and “Top Chef” alum Carla Hall is aiming to open a Nashville-style chicken restaurant in New York with the help of crowd-funding source Kickstarter, according to Fox News. Nutrition expert Manuel Villacorta replaces unhealthy fats such as lard and butter with heart-healthy canola oil. The result? Delicious, flavorful and better-for-you Latin dishes. Chef Ed McFarland knows his way around a grill, especially when it comes to fish. He emphasizes to Forbes.com that a hot grill top is key to properly cooking fish. National Kale Day has come and gone, but there is still plenty of time to learn how to prepare those leafy greens from the farmer’s market. When Oprah makes a suggestion, ears perk up. While it does not involve a free car, this recipe for Classic Granola is the perfect snack for those on-the-go. The fall issue of Canada's Eat In Eat Out magazine features delicious pastries made with canola oil-based pie crusts. The Manitoba Co-Operator shared a zesty recipe for Wilted Rainbow Chard with Seared Eggplant and Parsley Vinaigrette from the CanolaInfo collection. CBC Radio’s “D is for Dinner” program features summer festival fare at its finest with a recipe for pork-filled bao (Chinese steamed buns) from food truck chef Tarkek Hassen. The 2014 Canadian National Exposition in Toronto launches today with a menu of attention-grabbing dishes, including a chocoholic’s take on fried chicken made with canola oil. Grilling adds sweetness to late summer produce at its best with CanolaInfo’s Caramelized Corn and Red Pepper Salad with Chives. You can grill steak, broil it, pan-fry it or simply place it in an oven. This recipe for Spinach Salad with Seared Bok Choy, Ginger and Cilantro is a mouth-watering medley of tastes and textures. If you are going to deep fry your food, why not make sure it’s done right? Shrimp may be small, but the flavour in this dish is anything but thanks to a trio of peppers: fresh chili powder, smoked paprika and red pepper flakes. Cooking Light gives lemon squares a healthy makeover. Registered Dietitian Katherine Brooking provides tips for healthy barbecuing in The Huffington Post. At a recipe demonstration, “Top Chef” Judge Gail Simmons of Food & Wine magazine offered her insight on cooking and canola oil, reports Lake Michigan Shore magazine. 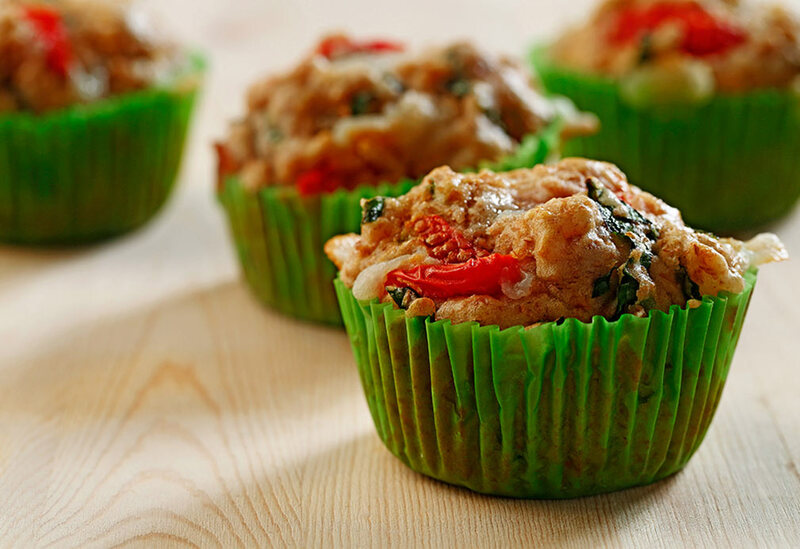 The most irresistible breakfast muffins just became healthier. 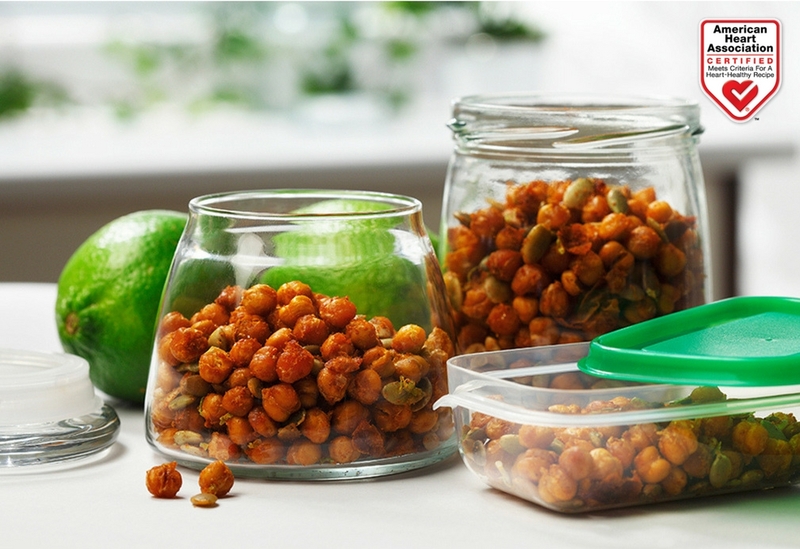 Is your pantry as healthy as you? While the verdict is still out on saturated fat, it's always wise to stick to unsaturated fats, indicates a Richmond Times-Dispatch. In a guide to healthy cooking oils, EatingWell recommends using polyunsaturated and monounsaturated fats over saturated fats to reduce the risk of heart disease. Lemon and blueberry are a lovely match in this yogurt coffee cake made with heart-healthy canola oil from The Chronicle Herald. Whether it is for Mother’s Day, a spring brunch, or afternoon tea, this Limoncello Cake will hit the sweet spot. CanolaInfo partner Meal Makeover Moms dispels myths about canola oil in an April podcast and blog post. On her talk show Katie," Katie Couric features Food Network star and registered dietitian Ellie Krieger cooking a recipe with canola oil from Krieger's new dinner-in-a-hurry cookbook, "Weeknight Wonders." "Ninety-eight percent of the time, I cook with canola oil," says top chef and restaurateur Bobby Flay in a feature on cooking tips in Bon Appetit. Just like warmer weather, asparagus season is finally underway. Check out CanolaInfo.orgs newly collected recipes by cookbook author Raghavan Iyer. On his show "Brunch at Bobby's," Food Network's Bobby Flay uses canola oil to prepare a smoked salmon crostini that's part of a healthy brunch menu. Everyone is Irish on St. Patricks Day, so why not eat like the Irish, too? With the 2014 Olympics drawing to a close, it is time to begin training for the 2018 Winter Olympics - or maybe just your next workout! The Hindustan Times of India profiles healthier cooking oils, such as canola. CanolaInfo teamed up with Michele Macedonio, R.D., C.S.S.D., L.D., team dietitian for Major League Baseball's Cincinnati Reds, to promote healthy recipes made with canola oil for the everyday athlete. Love to bake, but also watching your health? Diabetes presents an array of challenges when planning meals. Jump start the new year with CanolaInfo's "Fuel Up for Fitness" recipe collection, a starting line-up of six flavourful, healthy dishes to help the everyday athlete prepare for exercise and repair muscles after workouts. Winter usually brings out our cravings for cozy comfort foods, which are not always the healthiest. Looking for a quick, inexpensive and healthy meal? Jewish friends and families from Regina and Saskatoon gathered in Saskatchewan for the first province-wide Chaunkah celebration. In a summary of recent health research, CNN included the study that was published in the Canadian Medical Association Journal and reported widely in recent weeks. Now that the U.S. Thanksgiving holiday has come and gone, its time to get creative with leftovers in the refrigerator. Planning your U.S. Thanksgiving or December holiday menu? The infamous "freshman 15" is an unfortunate side effect for many college students. Having diabetes doesnt mean comfort food is off the table. Earn brownie points this Halloween with a decadent and healthier recipe for brownies made with zucchini. Craving a comfort food, but dont want to lose sight of health? Just because summer is over doesn't mean you can't keep your outdoor grill fired up. With the official beginning of fall this weekend, why not head to the kitchen for a seasonal celebration? Engagement parties and weddings are wonderful occasions for a variety of reasons, including the food. As Jews everywhere celebrate Rosh Hashana, the Jewish New Year, ensure a "sweet" year ahead with CanolaInfo's take on the traditional Honey Cake. Grabbing a quick bite from a street vendor might not always be the healthiest dining option, but there are a few trucks out there that are trying to appeal to conscious consumers. Who says Bloody Marys are just for brunch? A startling 795,000 strokes occur per year in the U.S., according to the Society for Vascular Surgery. Not all fats are bad for you - in fact some are essential to your well-being. Stuck in a sandwich rut? Kick it up a notch with canola oil-based mayo. Cooking authentic Mexican food may seem overwhelming, but NBC Latino shares a recipe for pork tostadas that is delicious and accessible for the everyday cook. Tired of grilling hamburgers or chicken this summer? Inspired to whisk up a homemade marinade? Cold-pressed canola oil's buttery, nutty taste is catching the attention of Canadian chefs and cooking enthusiasts, reports the Edmonton Journal. Canola oil is a smart choice for diabetes-friendly baked goods, according to an article on Prevention.com. Like all of its chips, Cape Cod's newest flavour will be cooked in heart-healthy canola oil. Whether you're celebrating Canada Day (July 1) or Independence Day (July 4), it's time to fire up the grill for some great summer cooking. In a post on April 26, popular parenting site Babble.com featured a recipe by mommy blogger and cookbook author Jennie Perillo for healthy whole-grain pancakes made with canola oil. Radio listeners across the country tuned in May 2 to hear Cooking Channel's Ellie Krieger, M.S., R.D., discuss CanolaInfo's "Mother's May the Healthy Way" recipe collection. More evidence points to canola oil as an "essential fat" for your diet. The month of May means Mother's Day is coming and Ellie Krieger has delicious recipes that your mom will love. Inspired by Vancouver's Times of India Film Awards in April, The Vancouver Sun highlighted unique Indian recipes that use canola oil. Elle India, a leading womens lifestyle magazine, featured a blurb about canola oil in its April issue. The Mediterranean diet - which is rich in fresh fruits, vegetables, fish and monounsaturated fats such as canola oil - boosts heart health. Bring spring into the kitchen with a seasonal dish from CanolaInfos extensive recipe database. 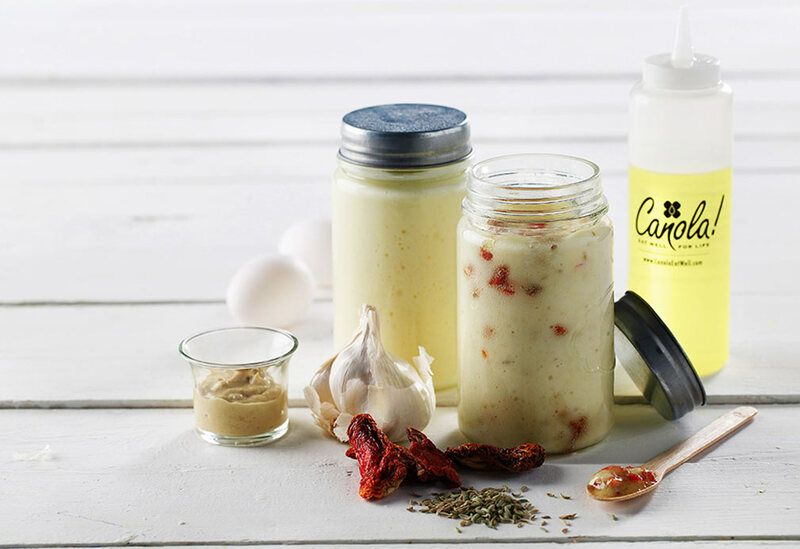 The winter weather is coming to an end across many parts of Canada and the U.S. yet CanolaInfo's "Comfort Your Heart" recipe collection lives on. Comfort foods are hearty but they can be heart-healthy, too! CanolaInfo's "Comfort Your Heart" recipe collection is the perfect way to kick off Nutrition Month in March. Surprise a loved one this Valentines Day and make a romantic dish from CanolaInfos extensive recipe database! U.S. Celebrity Chef Bobby Flay appeared on The Rachel Ray Show on Jan. 15 and answered questions from the audience, including one about the best oil to work with from a health perspective. Bella Online recommended canola oil instead of butter in its recipe for Lighter Chocolate Peanut Butter Cookies because, canola oil is high in omega-3, making it heart-healthy. While winter weather has settled in across many parts of Canada and the U.S., CanolaInfo's "Comfort Your Heart" recipe collection has continued to teach consumers about the benefits of using simple ingredient swaps and healthier cooking techniques to make heart-healthy entrées. In case you don't already have a copy of "The Heart-Smart Diabetes Kitchen: Fresh, Fast, and Flavorful Recipes Made with Canola Oil," now is a good time to purchase one. To prove that comfort foods can be heart-healthy, CanolaInfo launched a "Comfort Your Heart" recipe collection with six hearty and healthy entrées. "Baker's Dozen Healthy Holidays Checklist"
While the combination of green beans and potatoes is usually served as a warm side to ham or bacon, the Washington Post published a lighter and chillier version to serve at a summer picnic. This banana blueberry bread recipe from Health Magazine is chock full of nutrients with potassium-packed bananas, antioxidant-rich blueberries and omega 3-containing canola oil. Canola Camper and food writer/stylist Denise Vivaldo recently discovered the key to recreating her mothers fried chicken: canola oil. A playful spin on the classic cupcake also proves to be a little healthier thanks to canola oil. A bowl of colourful, fresh vegetables just got even healthier with a splash of canola oil. 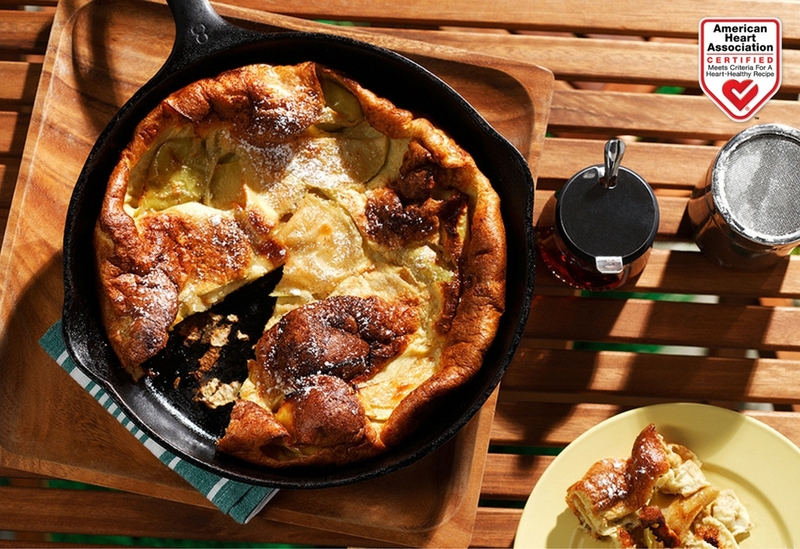 A popular breakfast indulgence just got a bit healthier thanks to canola oil. "Super fats" may help you lose weight, according to Dr. Mehmet Oz. Five super fats, including canola oil, help put you into "fat-burning mode" and make you feel satisfied, he says. Canola oil has the least saturated fat of all cooking oils - half that of olive oil - Oz notes. Chef Franklin Becker adds that canola oil won't mask the taste of other ingredients, simply delivering health benefits. On May 9, the American Association of Diabetes Educators (AADE) aired CanolaInfo's "How to Cook Like a Pro in a Healthy Cooking Demo" video webinar with culinary expert Tori Ritchie, followed by a live Q&A between Ritchie and participants. Black beans may seem like an unusual dessert ingredient, but these gluten-free, vegan brownies are a mouth-watering treat for any sweet tooth. Want to bring delicious street eats from top American food truck chefs into your kitchen? Kick it up a notch with Seared Ginger Salmon with Hot and Sour Slaw! Celebrate Easter with CanolaInfos Spiced Lamb Strips with Mint and Cilantro recipe. Readers Digest Canada reports that several studies have shown Mediterranean diets high in monounsaturated fat and low in saturated fat promote heart health. A study from the University of California-Los Angeles Easton Center for Alzheimers Disease Research shows people with diets deficient in omega-3 fatty acids were more susceptible to accelerated brain aging. In honor of February being Heart Month, ABC-TVs "Good Morning America" online released four simple steps to improve heart health. U.S. Celebrity Chef Bobby Flay offers a canola oil twist on the classic fajita in Oregons Mail Tribune. Eating healthfully can still be satisfying for the taste buds. Food Networks Ellie Krieger, M.S., R.D., recommends replacing some butter in desserts with canola oil. To combat the "low fat is best" myth, nutrition experts at the Harvard School of Public Health and chefs and registered dietitians at The Culinary Institute of America have developed five new muffin recipes with healthy fats like canola oil, whole grains and less salt and sugar. Chris Mohr, Ph.D., R.D., shared one of CanolaInfos heart-healthy dude food recipes with Mens Health Magazine. January may be the time to get back to basics in your kitchen after what may have been an overindulgent holiday season. In December, CanolaInfo launched its "Hearty and Healthy Winter Recipe Collection" by CanolaInfo spokeswoman and nationally recognized nutrition expert, Keri Glassman, M.S., R.D., C.D.N. In addition to recommending the Mediterranean diet for weight control, its being recommended for possibly slowing mental decline as one ages. This twist on a classic oven-roasted turkey breast uses canola oil and includes "classic New England ingredients," using apple cider to keep the bird moist during cooking and maple syrup and brown sugar for a delicious glaze. U.S. celebrity chef Rocco DiSpirito has undertaken a mission to lighten the load on latkes, a traditional Hanukkah food. Award-winning chef Kunal Kapoor provided a recipe for Apple Shrikhand with Malpua (apple-flavored yogurt with a pancake)  and he uses "light and heart-healthy" canola oil to fry the malpuas. CanolaInfo recipes were featured in various media outlets in an article that aimed to give readers easy, healthy recipes for simple meal planning around the busy holiday season. Renowned chef and TV host Ming Tsai was a guest on ABC-TVs "The View" recently where he prepared Asian dishes like chow mein and potstickers with canola oil for the hosts in honour of Whoopi Goldbergs birthday. Cranberries are a mainstay on the dining room table during the holiday season, but cranberry sauce can be used as a delicious condiment for poultry year-round, in sauces or even breakfast pastries. First Lady Michelle Obama celebrated a group of students who have cooked up some tasty ways to promote healthy eating for Americas youth through school lunches. Pumpkin-flavoured foods are everywhere, but for good reason  theyre delicious. Living with diabetes is no easy task, but you can make your life easier and feel better by carefully monitoring intake of fibre, carbohydrates, protein, sodium and fat. Autumn is squash season and if youre looking for creative ways to use this veggie, try this Red Lentil Soup with Butternut Squash recipe, which offers plenty of fibre, healthy fats (canola oil) and warmth. The days of fresh summer produce are slowly waning so grab the last of the bunch at the grocery store or your vegetable garden and try this heart-healthy Quinoa, Black Bean & Mango Salad recipe. Autumn is a great time of year to take the pickings from your summer vegetable garden and purée them into a delicious soup. Julie Van Rosendaal, food writer and recipe developer, supplies healthy and delicious blueberry-inspired breakfast recipes, some of which call for canola oil. 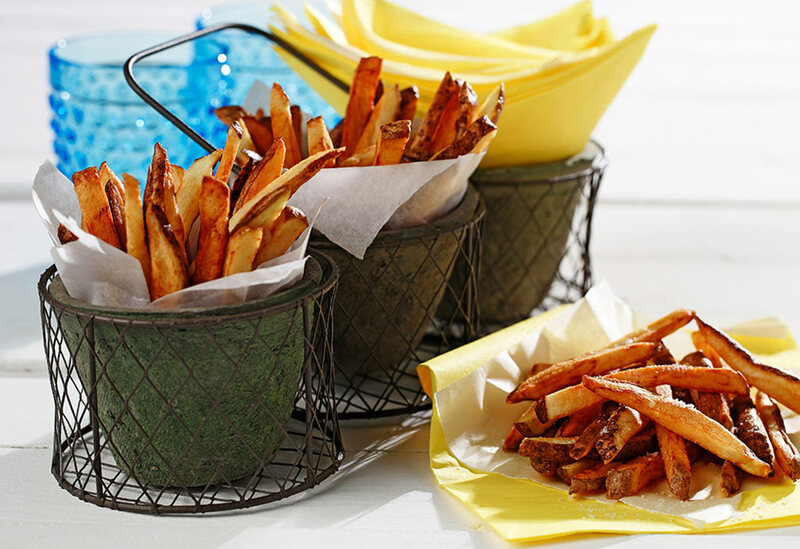 On NBC-TVs "The Today Show," website, the latest Home Chef Challenge winner presents her simple, yummy recipe for garlic Parmesan oven fries. Wondering how to bake cookies that are delicious and better-for-you? On a recent trip to the grocery store, a food writer noticed a sale on pork tenderloin and pineapple, inspiring her to visualize and create a recipe for Pork Loin Fillet with Spicy Pineapple Salsa. Celebrity chef Bobby Flays favourite summer recipes include Ribeye with Goat Cheese, Meyer Lemon-Honey Mustard and Watercress, for which he recommends coating the sides of the steak with canola oil for a nice golden brown colour. "Summer comfort food"  lighter, fresher dishes still capable of satiating  is a term thats been popping up on food blogs and columns, reported Cox Newspapers. In her new cookbook "Healthy Starts Here!," author Mairlyn Smith, a Second City improv alum, uses humour to get her point across about eating healthy. In a series of summer salad recipes from the Associated Press, Michelin Star Chef Eric Ripert offers up a recipe he created while visiting Vietnam. On May 13, Carla Hall of "Top Chef," CanolaInfo spokesperson, showcased her "Go Fish with Canola Oil" recipe and video collection during a Satellite Media Tour. This recipe for Quinoa Chocolate Cake has no wheat or flour of any kind  perfect for people with gluten-free needs. You no longer have to go fishing for easy, tasty seafood recipes. T. Marzetti Co. announced Simply Dressed®, a new line of refrigerated salad dressings that "combines basic ingredients and fresh flavours to create a perfect complement to any salad. Reservations for Easter brunch fill up fast at restaurants, so why not whip up delicious and healthy omelets for your company instead? Richardson Oilseed announced it has developed a canola oil-based popping oil, Pop-It, and popcorn topping, Top-It, that it will debut at the cinema-themed tradeshow CinemaCon in Las Vegas this March. In order to lose weight while staying upbeat and satisfied, make sure meals have a nice balance of protein, produce and grains in order to keep serotonin levels in check, reported Womens Health magazine. Canola oil is light, clear and has a mild flavor that does not interfere with the taste of baked goods. It blends easily with other ingredients to produce a moist product with soft texture. In addition, by replacing other solid fats with canola oil, recipes are not only lower in trans and saturated fat, but in their total fat content as well. These are great reasons for cooking and baking with canola oil! Fat plays several important roles in cooking. It acts as a heat transfer medium in frying, creates crisp textures and intense flavours when browning, moistens and tenderizes food, aids in leavening, creates emulsions and gives the mouthfeel we all enjoy. Today, we know about the cholesterol in animal fats and are using more healthful vegetable oils, with high smoke points like canola, to fry our foods. Most people consider deep frying a high fat cooking method and while it does yield tasty results, it is usually considered as occasional cooking methods, for special meals. The success of fondue starts with the proper ingredients and equipment. Canola oil's mild flavour and high smoke point make it an ideal oil for fondue. Fondue is French for "melted". Traditional Burgundian fondue or fondue bourguignonne, refers to cooking vegetables and/or raw meats in a pot of simmering oil and serving them with a variety of delicious sauces. With very little preparation, you can create some flavorful barbeque dishes using marinades. Marinades usually combine oil, acids, herbs, spices, and often a sweetener. Acids such as vinegar, wine or citrus juices act as tenderizers while oils help foods retain moisture. Canola oil with its light taste allows marinade-seasoning flavors such as garlic, mustard, herbs, and other spices to dominate. With any great salad there is a great vinaigrette! A basic vinaigrette blends an acid, usually vinegar, lemon juice, etc., with oil, salt, pepper and other seasonings. Canola oil, which is light in colour, texture, and taste is ideal for vinaigrettes. It allows for a smooth mouth feel without heaviness. The vinaigrette remains clear and free running when refrigerated. Canola oil's light texture is the perfect choice for sautéing or stir frying. Associated with the wondrous flavors of the Far East, stir-frying is simple, but requires a basic understanding of timing, sequence and the amount of heat required. Stir-frying means to quickly sear small pieces of food in a large pan or wok over high heat. Say "¡hola!, canola" this Cinco de Mayo and summer with delicious, better-for-you Mexican-inspired recipes made with canola oil.